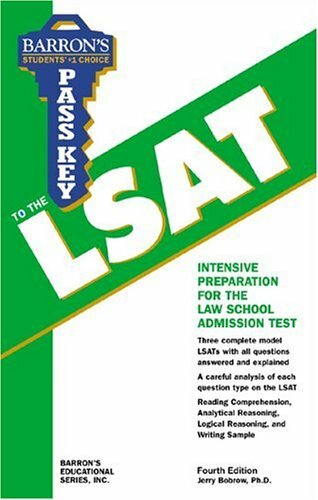 Barron'sPass Key to the LSATis a shorter, more compact version of Barron's large Law School Admission Test manual. This updated edition contains three full-length model LSATs with all questions answered and explained. Test-takers will also find a helpful analysis of each of the test's question types: reading comprehension, analytical reasoning, logical reasoning, and writing sample.